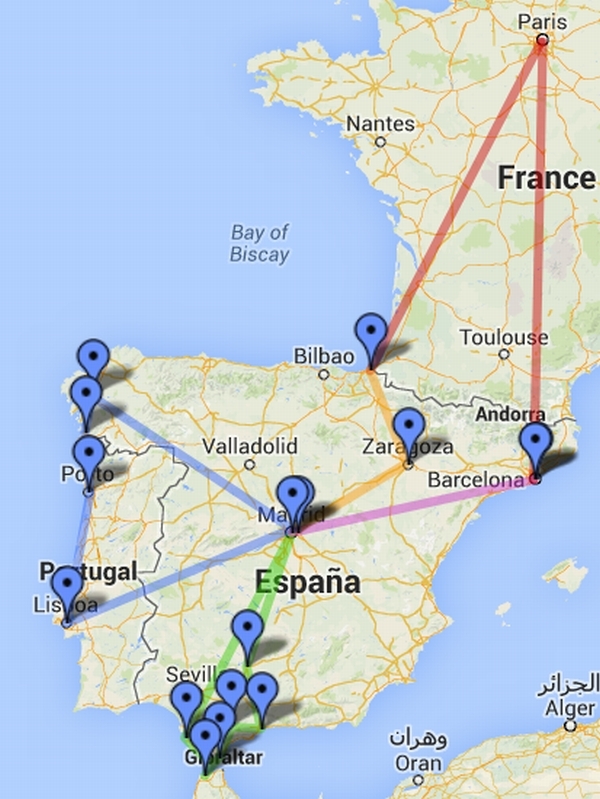 According to Google Maps, the overall point-to-point distance I covered in my eight-week trip from Paris to Spain, Morocco and Portugal is 5 175 kilometres. 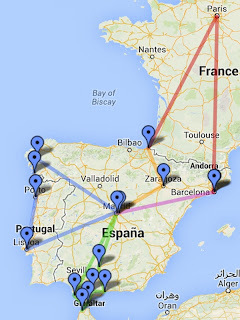 All of that was by train except Algeciras-Tarifa (by bus), Tarifa-Tangier-Tarifa (by boat) and Tarifa-Cadiz (by bus). That's as the crow flies, so the actual distance covered must be considerably more. What colour are the elephants in Spain?